Today, we skew from the norm at 5 Questions with. When I worked in the music business from 2000-2005, I remember this guy coming up. He opened for every big act out there and seemingly was playing seven shows a week all over the country. "How does he have the endurance to keep this up?" I thought. Well, turns out he was a pretty decent runner as well. He's also a big fan of the sport. 1. 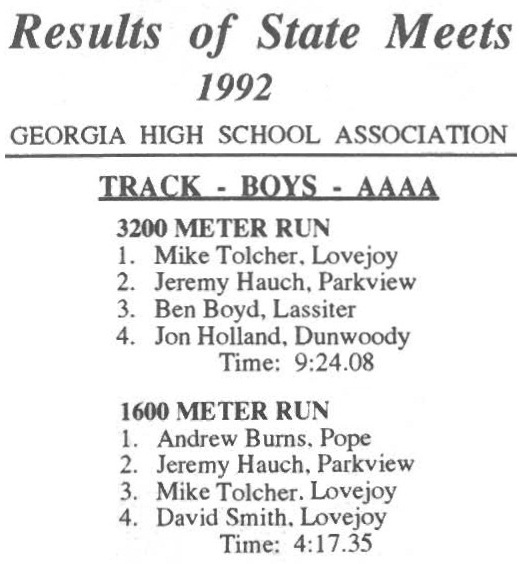 Writing About Running: People may know Michael Tolcher the musician, but can you tell us about your running roots at Lovejoy High, the University of Tennessee at Chattanooga and Georgia Tech? 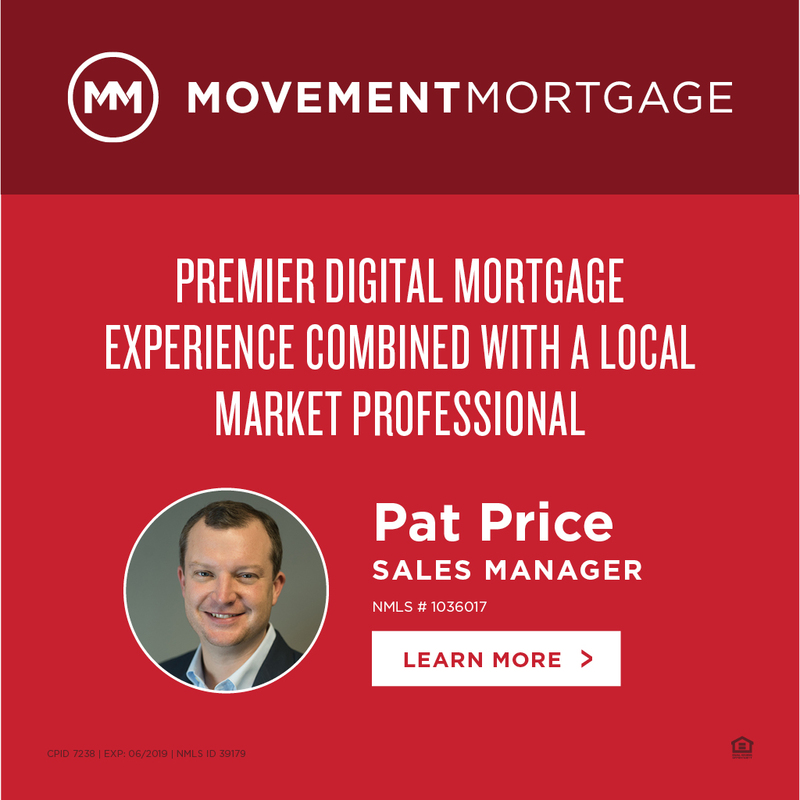 Michael Tolcher: Well, I once dreamed of being an Olympian too - I had run off and on as a kid (county record for 100 yard dash for 11-12-haha!). I loved track in high school. 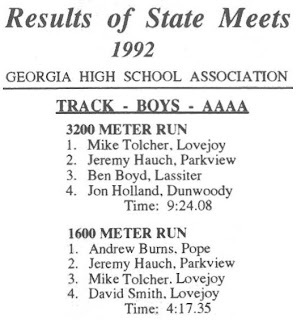 Winning the 3200 meters at state my senior year enabled me to run in college. I went to UTC because I loved the mountains in Chattanooga and the coach there was very cool. Then I thought I was more of a fit for Atlanta, so I transferred to Georgia Tech my sophmore year. I focused on the steeple and 1500 meters. I soon realized I was a better singer, and that it hurt alot less! 2. 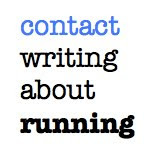 Writing About Running: You were all over the place for the trials. How'd you end up making it to Eugene and how was your stay? Michael Tolcher: Yea, what a blast that was! I was putting together my touring schedule in January, and purposely routed it through Eugene for the trials. 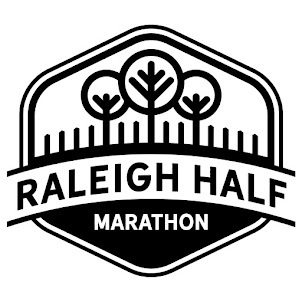 I had always wanted to go...and this year I really wanted to see Wallace Spearmon light up the track. He's very inspiring as an athlete and as a person. I think he's the man to beat in the 200 meters. 3. Writing About Running: With all the excitement at the trials, what were your favorite moments on and off the track? Michael Tolcher: On the Track: Well, of course the 200 meter final ... the Womens High Jump and Javelin, Men's 1500... both Men's hurdle events were super exciting. Off the track: I enjoyed the late nights at the Duck - meeting Maggie Vessey wasn't half bad (the feeling was mutual). 4. 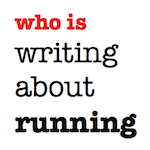 Writing About Running: Runners need the next "Born to Run" or "Runnin' Down a Dream." You seem like the guy for the job. Have you thought to write the quintessential running song, and how much of your music comes from your passion for the sport? Michael Tolcher: Haha. Good point! I'm gonna wrap my head around it now... maybe belt it out in London. I think running all those years built up my lungs for singing! Actually, putting on a show is a lot like a race. 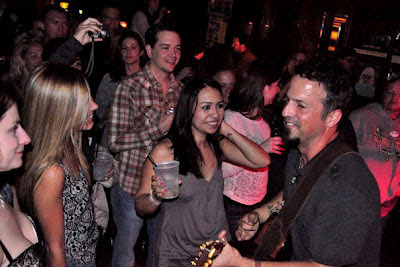 I approach shows similarly; psych myself up, clear my mind, and give it everything I got! I'm gonna be training for the 1500 meters again for fun. Who knows what songs will come about during that endeavor. Hopefully a Track & Field hit! 5. Writing About Running: What are your predictions for Team USA's performance in London? Michael Tolcher: Hmmm. Tons of gold! Wallace, Angelo, LaShawn, Tolcher - I really hope I make one of the relay teams! Oh yea...and Will Claye, the grasshopper!